Angel's family has seen many typhoons. For generations the violent storms have passed across the central Philippines around November, bringing with them drenching rains and strong winds. Lately they seem to be stronger, more destructive, but Angel's family and their neighbours know how to batten down - it's part of their way of life. 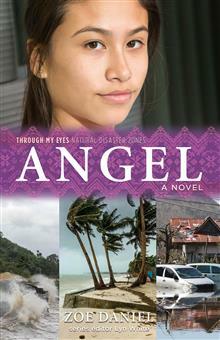 But when a super typhoon comes to Tacloban, will Angel be able to withstand the greatest challenge of all? Zoe Daniel was for many years the ABC's South East Asia correspondent, where she was based in Bangkok with her husband and young family, and is the author of Storyteller: A Foreign Correspondent's Memoir. She reported on nine countries across Southeast Asia filing copy and stories for TV, radio, online and social media. She was the Africa correspondent during 2005 and 2006 and spent parts of 2009 covering the Khmer Rouge war crimes trials from Phnom Penh in Cambodia. She is currently the ABC's Washington bureau chief. Series editor and series creator Lyn White has extensive experience as a primary school teacher-librarian and EAL teacher and in 2010 completed postgraduate studies in Editing and Communications at the University of Melbourne. Lyn is passionate about children's literature and has great expertise in engaging students with quality texts. Her work with refugee children motivated her to create the acclaimed Through My Eyes series of books set in contemporary war zones. Lyn created and edited the Through My Eyes - Natural Disaster Zones series to pay tribute to the courage and resilience of children who are often the most vulnerable in post-disaster situations. Lyn continues to teach EAL and is an education consultant and conference presenter.